3D Printing has been around and has been a new rage in the technological world. The technology has helped made some of the amazing creations and has proved its benefits and advantages in every industry. Now it has been in the news for making personal custom made iPhone cases for every phone lover. 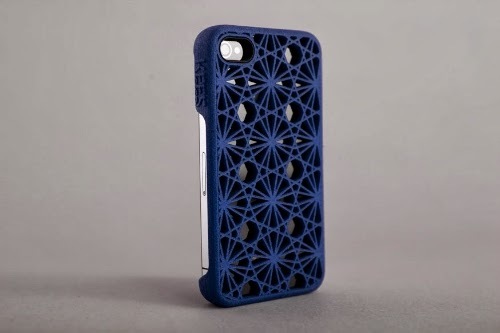 The new case that has started this new revolution in the telecom industry is called as Frames and it has used the Selective Laser Sintering technology to design. These panels are made in different colors. The initial stage of the phone cases will be made for the iPhone 5S and 5C only and later they will focus on the versions of the Samsung Galaxy. In the world of phone accessories where the competition is very high, Frames has stood out by the idea of 3D cases which are going to be one of their kinds. The designers are happy to provide these cases in different colors and can be changed as per the customer demand. There are a number of design options to select from and also the cases can be made in two different styles, the rubber bumper and the direct insert in the phone. The phone cases can be the first 3D product that can be easily carried by the people. The step of getting a personalized phone case starts with selecting a design and then the user can personalize it. The company has teamed up with lots of designers so that they can have a collection of great designs to select from. The user can have vintage designs, nature, San Francisco, animals, monograms, personalities and anything that the user wants. Inserts are easy to use and clean as compared to any other cases and bumpers have the ability to save the phone from the bruises and any bumps. The 3D printing has certainly showed the most creative side of the science and technology.